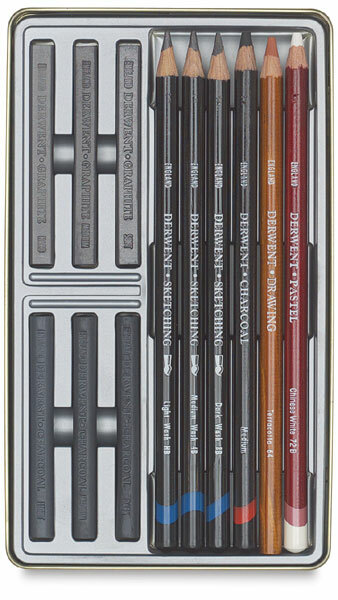 An ideal gift for the serious drawing student. Attractive tins with removable lids hold assortments of sketching pencils, graphite sticks, pastel pencils, compressed charcoal, and other accessories. Pencils are pre-sharpened. Available in a variety of sets.